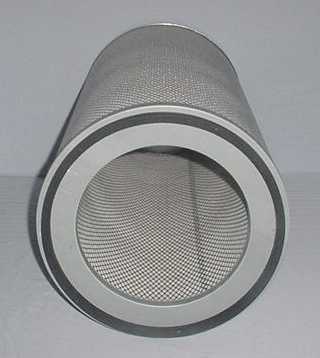 Universal Air Products offers generic replacement filters for the AAF ® OptiFlo ® Pulse-Jet Cylindrical Cartridge Collector. We stock the standard 80/20 blend Fire Retardant cartridge. We offer a variety of medias in addition to the standard to include 90/10 blend, Spunbond, Carbon impregnated, and more. 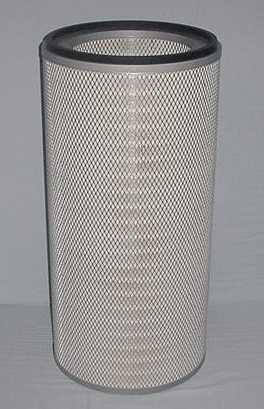 * Universal Air Products is not an authorized dealer for American Air Filter Company Inc., d/b/a AAF International. All replacement parts for American Air Filter ® / AAF ® products that Universal Air Products sells are generic replacements for AAF ® OEM parts. Are you getting ready to change out your cartridges? We can ship to you today or in less than 1 week the standard 80/20 blend Fire Retardant cartridges you need. This is possible because we keep these cartridges in stock. We are able to offer you parts which either meet or exceeds the original manufactures specifications. We can also offer you replacement valves or repair kits for your Goyen ® valves and controls on your OptiFlo ®.